Although Amy Winehouse is often painted simply as a tragic figure, the documentary Amy, directed by Asif Kapadia, gives viewers an all-encompassing view of the late, great soul singer. From her fun-loving teen years to her musical prime to her eventual decline into addiction, the film uncovers many things fans never knew about Winehouse just as much as it depicts all the unfortunate details that were shown in the media during the peak of her fame. Even so, how accurate is the Amy documentary in showing Amy Winehouse's life? It certainly tries to be as accurate as possible; the movie uses hours upon hours of archived footage from TV appearances, personal video camera recordings, radio interviews, phone messages, live stage shows, and photos. On top of that, Kapadia uses Winehouse's stirring lyrics to give the entire movie a driving narrative. The documentary seems as real as it can get. It helps that Kapadia had the support of some of those who were closest to Winehouse. Many of the videos in the documentary that showcase the young Winehouse are courtesy of her good friend and first manager Nick Shymansky, who provided Kapadia with nearly 12 hours of video footage from the singer's early career. In an article in The New York Times, Shymansky said he was reluctant to get involved with the project at first, but after meeting with Kapadia he said, "It felt like they were on their own mission to make a film that was truthful." Earlier in the movie, in one of Shymansky's videos, Winehouse said she wouldn't be able to handle being famous. And unfortunately, it seems like there was some truth to the statement. The documentary shows that the drugs and alcohol (as fans learned in her song "Rehab") were a way for her to deal with the pressures of fame. She also took advice from the wrong people and refused the help from those who tried to get it for her. As for her family, there was scene in the documentary that paints Winehouse's father, Mitchell Winehouse, in a negative light. It takes place during a period in Winehouse's life when she stopped doing drugs, and she was trying to stay out of the public eye by setting up camp in St. Lucia for a while. During this time, her father came to visit her with a reality show camera crew in tow. There are plenty of moments when the cameras try to catch Amy, but she makes it clear that she does not want to be caught on camera by ducking out of the frame. There is one particular moment when a pair of tourists recognize Mitchell and ask if they can get a picture with Amy. She isn't super-excited about taking the picture (and she verbalizes it), but does it any way. Mitchell chastises her (on camera) for being so snarky with the fans, but she says, "They got the picture they wanted, didn't they?" her body language and attitude every time the camera caught her throughout her entire time in St. Lucia makes it very clear that she did not want any attention from the public eye, let alone her dad's camera crew.After Amy's release, Mitch Winehouse was criticized for bringing the reality show camera crew onto the island. A review in Forbes magazine slams him for the aforementioned reality show. Mitchell responded to the critic saying, "The reality show that you refer to was a documentary that I made concerning the problems families face with addiction. Amy knew that and was happy to take part. Again the film shows something completely different." The show in question aired on Channel 4 in the U.K. and was titled My Daughter Amy . The show was "about the consequences of Amy's fame and how an ordinary family deals with tabloid scrutiny and addiction," according to the website description. From that, it sounds like it was part documentary, part reality show. 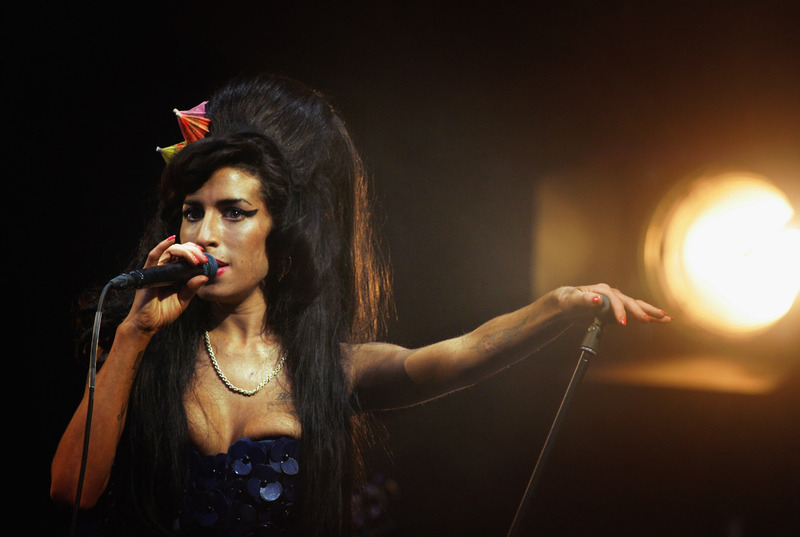 Years later, when the Amy documentary premiered at Cannes, Mitchell told The Guardian that he was portrayed “in the worst possible light." The Winehouse family has since refused to be associated with the film. In an interview on the British talk show, Loose Women , Mitchell went on to talk about how many of his interviews were edited out of the film and how Reg Traviss, Amy's boyfriend at the time she died, did six or seven hours of interviews and it never made it in the film. He said he was misrepresented and that the people involved in the last three years of her life were not included in the film, therefore not making it an accurate story. He is working with Traviss to make another alternative film that will "tell the truth about Amy's life." Yet while the movie's honesty — both what's shown, and what's implied — can be brutal at times, keeping things so truthful is routine for the director. In 2010, Kapadia told another story of fame and tragedy in Senna, a documentary about the Brazilian Formula One race car driver, Ayrton Senna, who won the world championship three times before he died at the age of 34. In Senna, Kapadia doesn't use any talking heads or on-camera testimonials from Senna's friends and family. This is an inventive technique that he carries over into Amy. Instead of the talking heads, he layers interviews with Winehouse's family, friends and colleagues over the archived footage to put the focus on Winehouse's story. It not only makes the audience a true spectator, but achieves a sense of no-frills authenticity. Kapadia's technique of documenting Amy Winehouse's life was clever, smart, and very effective. By relying solely on existing footage and her intimate song lyrics instead of talking heads, the film seemingly left no unanswered questions and gave viewers a complete story of a life the world lost too soon.